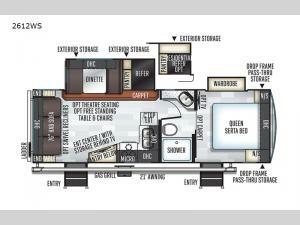 Enjoy being in the great outdoors with this Forest River Rockwood Ultra Lite travel trailer model 2612WS. Open up the 21' power awning with LED lights and stay out all day or night, and when it's raining you can still stay dry while you enjoying the cool rain with a hot cup of coffee. You will appreciate the secret storage behind the TV and the pantry below for storing your goodies, there is also a second pantry next to the gas/electric large refrigerator where you can keep your perishables nice and fresh. The double entry doors make for a smooth flow of traffic in and out of the unit, and one of the doors conveniently opens into the front private bedroom where you can enjoy a good night's rest on the queen Serta bed. 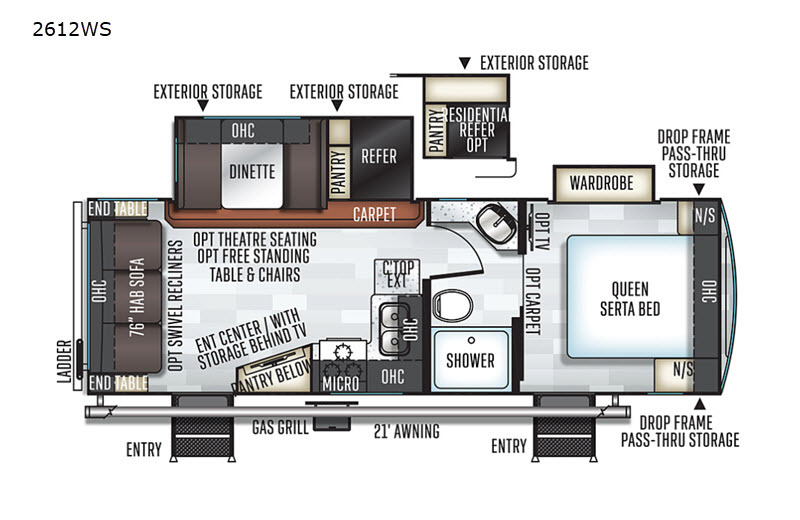 You can also take a relaxing nap on the 76" hide-a-bed sofa, or eat a meal in the booth dinette, the choices are endless!